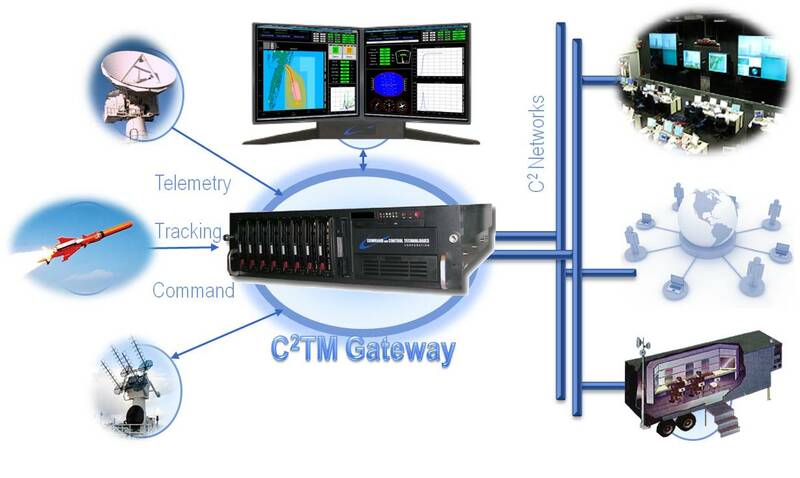 The C²TM Gateway is uniquely engineered to enable decision-focused situation awareness with unparalleled configuration flexibility, timely information processing and visualization, and robust interoperability. The C²TM Gateway can deliver your mission critical telemetry data synchronized, fused, and in context, to wherever you do business. Built on the latest PC multi-processing computer technology, the newest and most powerful PCI telemetry components available, and Linux; C²TM Gateway is powered by the Command and Control Toolkit™ (CCTK) interoperability with network based communications gateway services for broadcast, point-to-point, peer-to-peer, HTTP, as well as semantic exchange between communicating systems. The C²TM Gateway optionally provides real-time generation of IRIG 106 compliant telemetry via an integrated simulation environment that supports modeling the continuous or discrete time behavior of any device, simulations can be quickly and easily composed in to mission scenarios for verification of other systems, mission/ operation dress rehearsals, operator training and qualification, and validation of processing algorithms and displays.